Sounds great! Where do I order? Hi Mediha, you can order here: https://www.kendallhunt.com/store-product.aspx?id=57531 I hope you like the book! book sounds good but obviously USA based - as you are - well done! hello there! 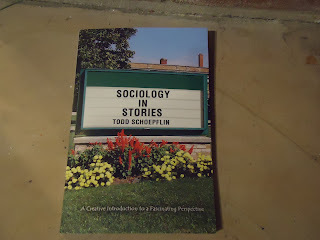 so good to see that finally there is a great sociology book. Although i have graduated you have taught me well and i never forget about you nor what i have learned from you ! best wishes to you and your family. I will order mines right now. Amy!!!!!!!!! So great to hear from you. Seeing your name brought a smile to my face. We miss you at NU! I hope you're doing great -- living in NYC? Thanks for your kind words. Stay in touch, please! Happy New Year to you.